From initial consultation to aftercare and everything in between we will guide you through the process, always available for questions and clarity. Depending on the breadth of your brief we would take all or some of these steps. We’ll visit you to see your space, discuss your likes and dislikes, but don’t worry if you don’t yet know exactly what you want – that’s where we can help gather the details. Then we’ll summarise the brief during our consultation. A full site survey, including measurements, building details, levels, existing trees, shrubs and features to be retained. A complete plan of the new design with 3D visuals to help you visualise the proposed design. Drawn to scale, this plan will be used by the landscape builder to set out the design prior to commencing the build. Some gardens require these for specific elements. A fully scaled plan incorporating, for example, agreed plants, plant screening, year-round interest, right plant and space. Descriptions, visuals and exact positions are shown to ensure correct quantities. 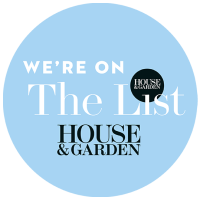 We base our recommendation on light levels, soil, position and how you use your garden from exercise, kids, pets and entertaining to create the most appropriate selection for you. Once every element is approved, we work in partnership with landscape builders, alternatively you may have your own preferred landscape builder. We are on-hand throughout to ensure the original design comes to life as intended. 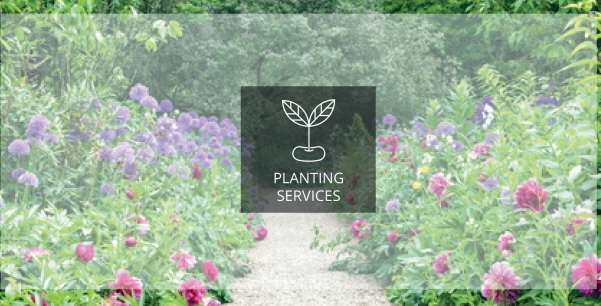 You may prefer to maintain your garden, or we can help you too. Either way we can provide an ongoing aftercare schedule to keep your garden growing and developing as intended. Whether it’s part of a full re-design, new ideas to revitalise a planting scheme, bringing the outside in or even creating impact for sale, call us to help see how small adjustments can make a big difference. We advise on everything from trees to soil, plants for shady areas, planting from scratch, pruning and even the best seasonal planting for your pots and containers. Pots and containers can elevate a design and planting scheme, setting off your ideas to perfection. We source the best from all over the world. Similarly, we can find the ultimate finishing touches from furniture and sculpture to fire pits, outdoor ovens and garden buildings to truly personalise your space. We’re flexible. You may prefer to maintain your garden, or we can help you. Either way we can provide an ongoing aftercare schedule to keep your garden growing and developing as intended. We can provide regular refreshes on an ad hoc basis too. OUTSIDE – Design Studio, Treen House, Odiham Road, Winchfield, Hampshire. RG27 8BS.